Metal Gear Solid 4: Guns of the Patriots[a] is an action-adventure stealth video game developed by Kojima Productions and published by Konami exclusively for the PlayStation 3 console. It is the sixth Metal Gear game directed by Hideo Kojima and was released worldwide on June 12, 2008. Set five years after the events of Metal Gear Solid 2: Sons of Liberty,[b] the story centers around a prematurely aged Solid Snake, now known as Old Snake, as he goes on one last mission to assassinate his nemesis Liquid Snake, who now inhabits the body of his former henchman Revolver Ocelot under the guise of Liquid Ocelot, before he takes control of the Sons of the Patriots, an A.I. system that controls the activities of PMCs worldwide. Guns of the Patriots received universal acclaim, garnering perfect reviews and Game of the Year awards from several major gaming publications, including GameSpot, which claimed that the game was "technically flawless". The game has been considered one of the best games of the seventh generation of console gaming and among the greatest of all time. Its release caused a boost in sales of the PlayStation 3, where it sold over six million copies worldwide. Solid Snake shooting a militiaman. In MGS4, players assume the role of an aged Solid Snake (also referred to as Old Snake), using stealth, close quarters combat, and traditional Metal Gear combat. The overhead third-person camera of earlier games has been replaced by a streamlined view and over-the-shoulder camera for aiming a weapon, with an optional first-person view at the toggle of a button. A further addition to gameplay mechanics is the Psyche Meter. Psyche is decreased by non-lethal attacks and is influenced by battlefield psychology. Stressors (including temperature extremes, foul smells, and being hunted by the enemy) increase Snake's stress gauge, eventually depleting his Psyche. Adverse effects include difficulty in aiming, more frequent back pain and the possibility of Snake passing out upon receiving damage. Among the available methods of restoring Psyche are eating, drinking, smoking, and reading an adult magazine. Snake has a few gadgets to aid him in battle. The OctoCamo suit mimics the appearance and texture of any surface in a similar fashion to an octopus, or a chameleon, decreasing the probability of Snake being noticed. Additionally, FaceCamo is made available to players after they defeat Laughing Octopus. FaceCamo can be worn by Solid Snake on his face and it can be set to either work in tandem with the Octocamo or instead mimic the face of other in-game characters. However, to get access to these unique FaceCamos, players have to complete certain in-game requirements first. When the FaceCamo is worn with OctoCamo, under ideal conditions, Snake's stealth quotient can reach 100%. The Solid Eye device highlights items and enemies and can operate in a night vision and a binocular mode. It also offers a baseline map, which indicates the location of nearby units. The latter function is also performed by the Threat Ring, a visualization of Snake's senses that deforms based on nearby unit proximity and relays them to the player. Metal Gear Mk.II (later replaced with Mk.III), a small support robot that always tags along with Snake, offers codec functionality and a means to the in-game menu for a large part of Snake's mission. It can be remotely controlled to stun enemies, provide reconnaissance and interact with the environment. Its design is based on the namesake robot from Snatcher, a game designed by Hideo Kojima. It is also controlled during the beginning of each separate "Act", although the player is not able to utilize its capabilities during this time. Whenever the Drebin menu is available, weapons, attachments, and ammunition can be purchased via Drebin Points (DPs), awarded for on-site procurement of weapons already in the inventory and by initiating specific scripted events or destroying Unmanned Vehicles. The conversion rate between weapons and DPs depends on current battlefield conditions, with more-intense fighting yielding higher prices. Also, Drebin would purchase items from the player at a discounted price, especially at certain points in the story and certain days in real life. The game may also be finished without killing anyone, using non-lethal weapons. The Virtual Range, similar to the Virtual Reality training of previous titles, functions as a test facility for weapon performance and gameplay controls. Guns of the Patriots is set in 2014, nine years after the events of the original Metal Gear Solid and five years after Sons of Liberty. The world's economy relies on continuous civil wars fought by PMCs, which outnumber government military forces. Soldiers are equipped with nanomachines that monitor and enhance their performance on the battlefield, controlled by a vast network known as the Sons of the Patriots (SOP) system. Liquid Ocelot, missing since the events of Sons of Liberty, re-emerges from hiding to launch an insurrection against the Patriots. Solid Snake, meanwhile, is experiencing accelerated aging, and is given about a year left to live. He is living on board the airplane Nomad with Dr. Hal "Otacon" Emmerich and Olga Gurlukovich's daughter Sunny. When his former commanding officer Roy Campbell approaches him with one final mission - to terminate Liquid Ocelot - Snake accepts. Since the aftermath of the Big Shell Incident, Raiden has drifted away from Rose, who had apparently suffered a miscarriage with their child and gone to live with Campbell, and has become a cyborg ninja fighting against the Patriots. Shortly after learning of his year-long lifespan from symptoms similar to Werner syndrome, Snake is given a mission by Roy Campbell to assassinate Liquid Ocelot. Snake travels to the Middle East, infiltrating a war zone occupied by Liquid's PMC Praying Mantis, where he meets Drebin 893, an underground arms dealer, who then injects Snake with nanomachines that enable him to use the latest generation of weaponry. Just as he finally reaches Liquid, Liquid transmits a signal that incapacitates the nearby members of Liquid's own nanomachine-equipped PMC, a patrol led by Snake's old comrade, Meryl Silverburgh, and Snake himself. As Snake collapses, he sees Dr. Naomi Hunter again for the first time since he infiltrated Shadow Moses. Naomi explains via an encoded message that she is being forced to do research for Liquid in South America, and asks Snake to rescue her. Snake locates Naomi, who explains that Liquid plans to use Big Boss' biometric data as a key to access the Patriots' core AI and take sole command of its firearms control system, the SOP. After a medical examination, Snake learns his accelerated aging was due to intentional genetic mutations made before his birth, shortening his natural lifespan. In addition, Naomi discovers the FOXDIE virus inside him will mutate within three months, spreading a deadly version of the virus to the population of the world. Pieuvre Armement PMC soldiers kidnap Naomi, but with the help of Drebin and Raiden, Snake is able to retrieve her and they succeed in escaping the country, though Raiden is injured in a fight with a returning Vamp. Snake finds an Eastern Europe resistance group that has both the equipment needed to heal Raiden, and the remains of Big Boss. Once there, EVA, leading the resistance group under the alias "Big Mama", reveals that she was the surrogate mother to Snake and Liquid Snake through the "Les Enfants Terribles" cloning project. Liquid's Raven Sword PMC attack Snake, Big Mama, and the decoy vehicles pretending to transport Big Boss' remains. Snake helps Big Mama escape to the riverside, where Big Boss' real remains are hidden in a coffin to be taken to safety by ship, but Liquid reveals that he no longer needs Big Boss' body and that he has already infiltrated the system using his own system core to act as a Trojan. US military forces attempt to arrest Liquid, but he disables their firearms via his Trojan core, before incapacitating them, leaving them vulnerable and helpless to be slaughtered by his elite all-female Haven Troopers. Vamp throws Big Boss' body into flames, leaving the side of Snake's face burned after he saves Big Mama from jumping in after it. Liquid escapes with Naomi as collateral, but Otacon's robot sneaks onto Liquid's boat after them. Big Mama later dies from her injuries. Snake and Otacon learn of Liquid's plan to destroy the Patriots' core AI with a nuclear strike using Metal Gear REX's railgun, and that he will substitute the core with his own to gain full control of the system. To facilitate his plan, Liquid needs a non-ID-tagged nuclear warhead, which is to be recovered from the Shadow Moses facility, familiar to Snake from prior adventures. Snake, tormented by old memories, infiltrates Shadow Moses Island and reaches REX's hangar, only to be ambushed by Vamp, who has Naomi with him. Raiden assists Snake in battling Vamp and ultimately kills him. Naomi reveals that she has terminal cancer and, overcome with guilt over her mistakes, disables the nanomachines holding off the effects of the cancer and dies. Snake and Raiden use REX to escape the hangar, where they encounter and battle Metal Gear RAY, piloted by Liquid himself. Upon his defeat, Liquid reveals Outer Haven, a modified version of Arsenal Gear, ready to fulfill his launch plan. Raiden is severely injured during the attack while defending Snake. The USS Missouri, captained by Mei Ling, arrives and begins firing on Haven, causing it to retreat. Seizing the moment it surfaces to launch the nuke, Snake, Meryl, and Johnny board the ship via catapults. When Snake arrives at the core, he uses Otacon's robot to install a computer virus coded by Naomi and Sunny, that destroys the core AI and the entire Patriot system controlling the entire world, leaving the bare necessities for the modern civilization to survive. The destruction of the Patriots brings the war economy to a halt, counteracts the Patriots' upcoming civilian control scheme, and causes a mental breakdown for the Haven Troopers as their mind-suppression systems are disabled. Snake, after passing out in the core room, awakes atop Outer Haven's tower to find Liquid. Liquid reveals that his plan the whole time was to have Snake himself defeat the Patriots, while Liquid drew their attention to himself. The two engage in a tough and emotional hand-to-hand battle, with Snake emerging victorious. After telling Snake a few last words, Liquid reverts to his old identity of Revolver Ocelot and dies. In the aftermath of the battle, Meryl reconciles with Campbell and marries Johnny. At the wedding, Drebin reveals his origin as a child soldier as well as his role in Patriots' schemes. He also reveals that Meryl's unit had been an unwitting pawn used by the Patriots, but that they and Drebin were now free. Otacon decides to raise Sunny to allow her to live a normal childhood. Raiden's body is rebuilt and he reconciles with Rose after learning that their child was not miscarried, and that her marriage to Campbell was a ruse to protect them from the Patriots. Snake, meanwhile, visits the grave of Big Boss at a cemetery. With nothing left to fight for, and to prevent a global epidemic from his mutant FOXDIE strain, Snake attempts suicide. In a post-credits scene, Snake is surprised when Big Boss, very much alive, arrives at the cemetery with a vegetative Major Zero in a wheelchair. Big Boss explains that the body burned in Eastern Europe was actually Solidus Snake, and reveals that the Patriots, founded by Major Zero, EVA, Ocelot, Sigint, Para-Medic, and Big Boss himself, were originally an interpretation of the will of The Boss, his former mentor. While their power increased, differing interpretations split the Patriots' ranks into two rival factions - Zero's, who stood for complete control of society to prevent conflict; and Big Boss's, who dreamed of a world where people could fight solely for what they believed in, and not for governments or countries. Zero let the newly established AI network assume control, which lead to the dependence on the war economy, a vision far from The Boss's will. Ocelot used nanomachines and hypnotherapy to implant the persona of Liquid onto his own, as a ploy to mislead the Patriots' AIs. Big Boss kills Zero by turning off his life support, and informs Snake that the nanomachines Drebin injected into him came with a new strain of FOXDIE, engineered by the Patriot AIs to eradicate the old strains and to kill Big Boss's rival Patriot faction, and were therefore the true cause of EVA and Ocelot's deaths. With the new strain destroying the mutated strain, Snake poses no risk of becoming a biological weapon, so long as he does not live long enough for the new strain to mutate. However, Snake's very presence would kill Big Boss. After understanding his mentor's will, and telling Snake to find a new reason to keep living, thus making amends with Snake and acknowledging Snake as both his son and brother, Big Boss dies beside the Boss's grave. Snake quits smoking and decides to live the short time he has left peacefully with Otacon and Sunny, vowing to live long enough to see what the future holds for the world he has helped create. From the left to right: Kenichiro Imaizumi (producer), Yumi Kikuchi (Raging Raven character of The Beauty and the Beast Unit, voice and motion capture actress), Hideo Kojima (producer, director, writer) at the Games Convention 2007. Metal Gear Solid 4 started development due to fan demand. Series creator Hideo Kojima had previously directed the prequel Metal Gear Solid 3: Snake Eater which was meant to end the series. However, people's demand to have a sequel to Metal Gear Solid 2: Sons of Liberty and clear the mysteries Kojima wanted to leave to the players' interpretations resulted in the making of Metal Gear Solid 4. Kojima announced that he would be retiring as director of the Metal Gear series after Snake Eater, and would leave his position open to another person for Metal Gear Solid 4. As a joke, the new director was announced as "Alan Smithee", but in R, a 400-page book bundled with Metal Gear Solid 3's Japanese "Premium Package", the director was revealed to be Shuyo Murata, co-writer of MGS3 and director of Zone of the Enders: The 2nd Runner. He also contributed easter eggs to Metal Gear Solid 2: Sons of Liberty and Metal Gear: Ghost Babel. However, it was announced that Kojima would be co-directing the game with Murata after substantial negative fan reaction, including death threats. Hideo Kojima wished to implement a new style of gameplay which was set in a full-scale war zone. Kojima wanted to also retain the stealth elements from previous entries in the series, which made the team abandon the original "No Place to Hide" concept. The only announced war zone before release was the Middle East. Using several locations emphasized Kojima's original intention to present the world in full-scale armed conflict. Solid Snake was physically aged to portray to the player the games' overarching theme, "SENSE", and to assign them to a character whose task was to pass moral values to future generations. Kojima's initial ending for the MGS4 would entail Snake and Otacon turning themselves in for breaking the law, and subsequently convicted and executed. This was avoided after negative feedback from the development team. Snake's experience across the series made the creation of new enemies challenging and encouraged staff to create groups of non-human enemies to rival Snake. During development, the game's exclusivity was continuously questioned, even after Kojima officially confirmed the exclusivity several times. The exclusivity of the game was still in doubt from non-PlayStation 3 owners for a long period after the initial release, with the company confirming that the 25th Anniversary edition of the game released in late 2012 was still a PS3 exclusive. Upon the release of Metal Gear Solid: The Legacy Collection, Kojima had once again firmly denied chances of MGS4's release on any other console, stating that an "Xbox 360 version [will not be] released, because an Xbox 360 version of MGS4 hasn't gone on sale." and that "the amount of data in MGS4 is just too enormous". The game was publicly announced first at E3 2005, by means of a humorous and slightly abstract gag machinima using characters from Metal Gear Solid 3, under the slogan of "No Place to Hide". The title was described as "essentially finished" by January 2008 and went through extensive beta testing. At Destination PlayStation on February 26, 2008, Sony announced that MGS4 would be released worldwide on June 12, 2008, along with the special MGS4 PlayStation 3 bundle. It was announced that Guns of the Patriots is the first PlayStation 3 game that uses a 50GB dual layer Blu-ray Disc even with the use of file compression. The budget for the game has been estimated to be between US$ 50-70 million. However, Kenichiro Imaizumi from Kojima Productions denied this stating if it had cost this much, the game would have been for multiple platforms. One of the main objectives of the budget was research of environments the game would feature. 30-second sample from the opening theme of Metal Gear Solid 4: Guns of the Patriots, composed by Harry Gregson-Williams. The score to Metal Gear Solid 4 was led by Harry Gregson-Williams, his third Metal Gear Solid soundtrack, and Nobuko Toda, who provided music for Metal Gear Acid and Metal Gear Acid 2. Other contributors are Konami employees Shuichi Kobori, Kazuma Jinnouchi, Akihiro Honda, and Sota Fujimori. Directed by Norihiko Hibino, GEM Impact employees Yoshitaka Suzuki and Takahiro Izutani also made compositions late in the game's production. It was revealed in an interview with Norihiko Hibino that the team, in fact, wrote 90 minutes of music for the game's cutscenes, only 15 minutes of which made its way onto the official soundtrack. There are two vocal themes for the game. The opening theme, "Love Theme", is sung by Jackie Presti and composed by Nobuko Toda. The ending theme, "Here's to You", is sung by Lisbeth Scott. Before the release of the game, "MGS4 - Theme of Love - Smash Bros. Brawl Version" was provided for Super Smash Bros. Brawl in the Shadow Moses Island level. The "Metal Gear Solid Main Theme", composed by Tappi "Tappy" Iwase, was notably omitted from the soundtrack, and the soundtrack of Metal Gear Solid: Portable Ops. In an interview with Electronic Gaming Monthly, Norihiko Hibino stated that the company had difficulties with "Russian composers who said we stole their music", referring to an occasion when a group of Russian games journalists presented Hideo Kojima with a composition by Georgy Sviridov and claimed this had been plagiarised to create the theme. Hibino states that "they didn't actually", however, the company was "too sensitive about the situation" and elected to drop the theme. The official soundtrack was released on May 28, 2008, by Konami Digital Entertainment under the catalog number GFCA-98/9. It consists of two discs of music and 47 tracks. A soundtrack album was also packaged with Metal Gear Solid 4: Guns of the Patriots Limited Edition. In August 2009, when asked if there would be a patch to add Trophies to the game, Kojima Productions' Sean Eyestone asked people to "stay patient". This led to speculation that an updated version of the game in the vein of Substance or Subsistence would be released alongside a Trophy patch. In November 2010, an updated Greatest Hits box art of the game was released, which in the top right-hand corner boasted the addition of "Trophies" to the game. This was later reported as a "typo", and removed from later printings. False reports of an "incoming Trophy Patch" often appeared, usually on internet forums and on April Fools' Day, some even going to the extent of a mock-up Trophy listing. In July 2012, a patch was announced which would include Trophies for the game, which would later be released on August 6, 2012. In addition to the support for Trophies, the patch also allowed a full install of the game onto the hard drive to remove the installs between acts. The game received new content through PlayStation Network (in-game downloads) between 2008 and 2009. A total of 49 free add-ons have been released, which include 25 additional OctoCamo patterns, 12 podcasts and 12 iPod songs (a thirteenth song, named "Chair Race" was removed for copyright reasons in 2011). On July 16, 2014, it was announced on the Japanese site that all DLC downloads would terminate on July 31. However, a workaround was made in January 2015. As of today, this is the only way to obtain the content, as it was never made available on PlayStation Store. Metal Gear Solid 4 includes the Starter Pack for Metal Gear Online (MGO). MGO features up to 16 player online tactical battles and incorporates several gameplay elements from Metal Gear Solid 4, including the SOP system that allows players to have a visual confirmation of their teammates' position and battle status. MGO also allows fully customizable characters. The Starter Pack allows players to engage in sneaking missions, where Old Snake and Metal Gear Mk.II acquire dog tags from other human contestants, along with standard Deathmatch, Team Deathmatch, and several special modes. Expansions packs, offering more maps and playable special characters (Mei Ling, Meryl, Akiba, Liquid Ocelot, Raiden, and Vamp), can be purchased via the MGO menu item "MGO Shop (PlayStation Network)", or via MGO or Konami's shop. The PlayStation Wallet is used for the first option and a credit card for the latter two. Metal Gear Online was completely shut down on June 13, 2012. On June 19, 2008, Konami released the Metal Gear Solid 4 Database onto the PlayStation Store in North America and Japan, and one week later on the European store. The Database is a downloadable application for PlayStation 3 that catalogs every piece of Metal Gear lore from all the canonical entries in the series released up to Metal Gear Solid 4 in the form of an encyclopedia (browsable by alphabet and category), a timeline, and character relationship diagrams. Highlighted words in each article link to related articles, and it keeps track of which ones the user has already read. The Database automatically locks any items related to MGS4, in order to prevent the leaking of spoilers to players who have not completed the game yet. In order to reveal these articles, the user must have a completed MGS4 game save that was created on the same console and with a version of the game from the same region as their account. At a press conference on May 13, 2008, Hideo Kojima announced a marketing campaign and agreements with several companies to promote the game. Apple computers and monitors feature in the game and an Apple iPod is an in-game item that Snake can use to change the background music, listen to in-game podcasts and collect hidden songs scattered throughout the game. ReGain Energy Drinks are used in the game as a Psyche gauge booster, and Sony Ericsson mobile phones are used, specifically by Naomi and Vamp. In addition, the motorcycles featured in the game are a Triumph Bonneville and Speed Triple. Konami and Ubisoft put an unlockable costume in the game for Snake, Altaïr from the Ubisoft stealth game Assassin's Creed. Initially revealed on April Fool's Day 2008, Kojima later announced that it would actually be in the game, unlockable by doing "something special". To obtain the attire, the player must acquire the "Assassin Emblem", a nod to the game's title (or input a password in the Extras section). Konami had originally planned to organize grand launch events in Tokyo, but some of them were canceled with the "safety of participants in mind" in light of the Akihabara massacre on June 8, 2008. On June 15, 2009, a year after its release, Konami re-released MGS4 as a part of Sony's Greatest Hits collection. Metal Gear Solid Touch for the iPhone, iPod Touch and iPad is a "touch shooting" game that revisits MGS4's plot and action through the touch interface. Developers of the game LittleBigPlanet, Media Molecule, released an expansion pack based on Metal Gear Solid 4 on December 23, 2008. It includes character skins for Old Snake, Raiden, Meryl, and Screaming Mantis, as well as a Metal Gear-themed set of levels. In October 2011, Konami and Hasbro produced a special MGS4-themed version of Risk, which had playing pieces based on the game's various characters, plus a battle map based on Outer Haven. The game's characters can also be used as special allies. Before his death in 2009, Project Itoh wrote a novelization of Guns of the Patriots. An English-language translation of the novel was published in North America in June 2012. A Limited Edition was released simultaneously with the game's standard edition, as an enhanced counterpart. The limited edition contains Guns of the Patriots, a box with artwork by Yoji Shinkawa, a Blu-ray Disc containing two "making of" documentaries, and partial game soundtrack containing only songs written by Harry Gregson-Williams. The Limited Edition was available exclusively at GameStop in the United States and EB Games in Canada, while a similar bundle with an additional 6-inch 'Olive Drab' Old Snake Figurine was made available at Play.com in the United Kingdom. It is also included in the 40GB Limited Edition PlayStation 3 Metal Gear Solid 4 bundle. In North America, a bundle containing an 80GB PlayStation 3, a DualShock 3 wireless controller, a downloadable game coupon for Pain, and a copy of Metal Gear Solid 4: Guns of the Patriots was released for US$499 on June 12, 2008, to coincide with the release of the standalone edition. Japan saw the release of the Guns of the Patriots Welcome Box that contains the game itself, a DualShock 3 controller, a Sixaxis controller, and a 40GB PlayStation 3 in either black, white or silver. Sony also announced a limited edition pre-order bundle containing Guns of the Patriots Limited Edition and a matte grey (officially titled Gunmetal Grey) 40GB PlayStation 3. First announced in Japan on March 18, 2008, at a cost of ¥51,800, the bundle sold out by March 25, 2008. An identical bundle was available in North America for pre-order on May 19, 2008, in "very limited" supply for US$600 at Konami's official website. David Reeves has announced a similar bundle for Europe which includes a 40GB PlayStation 3, the game itself and a DualShock 3 controller. A downloadable version of the game was released on PlayStation Store at the end of 2014. It was also briefly available as a PlayStation Now rental title in North America, before being delisted by Konami due to undisclosed reasons. It was added again to the service in March 2019. According to Konami, the game shipped over 3 million units worldwide on the day of its release. According to Enterbrain, Guns of the Patriots sold 476,334 copies in its first four days on sale in Japan, which includes copies bundled with the PlayStation 3, and caused a boost in PlayStation 3 sales. The PS3, which at the time sold about 10,000 units in a given week, went on to sell 77,208 units in the game's debut week. It was the 11th best-selling game of Japan in 2008, selling 686,254 copies. According to Chart-Track, the game is the second fastest-selling PlayStation 3 title in the United Kingdom after Grand Theft Auto IV and was below Metal Gear Solid 2: Sons of Liberty's opening weekend figure by 14,000 copies recorded in 2002; the sales of the PlayStation 3 increased by a "minimal" seven percent over the opening weekend. Konami has reported that MGS4 sold over one million copies across Europe in its first week, with 25,000 limited-edition copies "snapped up almost immediately". The game received a "Platinum" sales award from the Entertainment and Leisure Software Publishers Association (ELSPA), indicating sales of at least 300,000 copies in the United Kingdom. In the United States, MGS4 was the best-selling game in June 2008 selling 774,600 copies (nearly one million if the number of copies bundled with the PlayStation 3 console was included), causing PS3 sales to double over the previous month, according to the NPD Group. As of December 2009, the game had sold over 5 million copies worldwide, as stated on page 5 of Konami's 3rd Quarter Financial Results. This milestone labeled it as the best-selling PlayStation 3 exclusive until the release of Gran Turismo 5. Metal Gear Solid 4: Guns of the Patriots is now one of the Platinum range of bestselling games. However, these figures were widely misreported as it also included other games in the franchise. On May 21, 2014, Ryan Payton, a former employee of Kojima Productions who worked on Metal Gear Solid 4, stated that the game has sold 6 million copies. Metal Gear Solid 4 received universal acclaim, according to review aggregator website Metacritic. The first review was a 10/10 from PlayStation Official Magazine (UK), commenting "MGS4 shifts gears constantly, innovating again and again". The game has been awarded 10/10 from Game Informer and a 5/5 in all categories (graphics, control, sound, and fun factor) from GamePro. Japanese magazine Famitsu (40/40) and Empire. The game received a 9.9/10 from IGN, a 9.5/10 from IGN Australia, and a 10/10 from IGN. IGN was quoted in a video review, saying MGS4 is "one of the best games ever made". Edge and Eurogamer both gave the game 8/10. 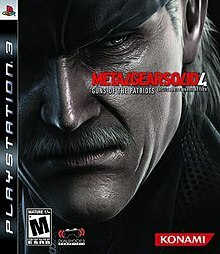 GameSpot gave it a 10/10 saying "Metal Gear Solid 4: Guns of the Patriots is the most technically stunning video game ever made", making MGS4 one of only five games ever to receive a perfect "10" from both IGN and GameSpot, and the sixth of only nine games to receive a perfect ten from GameSpot overall. IGN also included the game at #59 in its list of Top 100 Games of a Generation. Reviewers acclaimed the manner in which the title concludes the series. Eurogamer stated that "You could not ask for a funnier, cleverer, more ambitious or inspired or over-the-top conclusion", and IGN found that the result "refines the MGS formula and introduces just enough new (or respectfully influenced) ideas to ensure that it stands on its own as a game". Edge concluded that "it is faithful to its fans, its premise and its heart, delivering an experience that is, in so many ways, without equal", while IGN UK described it simply as "the ultimate Metal Gear game" and "a dazzling, heart-lifting, voyage of discovery". The game was also described as being very sad and depressing for a video game, with the main character dealing with death, depression, and self-carelessness. Kotaku said, "Metal Gear Solid 4 is so unusual in that it's the rare game that asks them to be interested in something else: a march toward defeat, an interactive tragedy." The new control scheme ("the ideal balance of intuitiveness and range"), camouflage system and shift to more free-form, "replayable" gameplay (in particular the Drebin Points system and alternatives to "stealthy" play) were particularly highly praised with a few minor annoyances. The variety of set-piece events, details such as the "psyche" meter, and healthy provision of secrets were also remarked upon. Eurogamer tempered their overall praise with concern that one of the chapters may induce "ennui", but noted that the game quickly recovered, while Edge expressed mild disappointment that the "Beauty and the Beast" unit compare poorly to the previous title's main foes, the "Cobra Unit". The game was also lauded for its technological and artistic achievements, with Edge describing the "Otacon" character as "the real star", and "a gaming revolution" while they found the game's score to be superior to that of many Hollywood offerings. The magazine felt that the few visual shortfalls (such as texture detail) did nothing to detract from the game's overall quality. IGN UK commented that the attention to detail in both visuals and audio represented "sublime brilliance", and remarked upon innovations such as the use of split-screen. Criticism of the game was largely leveled at the storyline, which reviewers found at times to be confusing or poorly executed and with IGN UK advising players to revisit the earlier titles for clarity. However, the overall result was praised as emotionally engaging and topical, and characters such as Liquid Ocelot were singled out for the quality of their depiction. It was generally conceded that although the use of cut scenes were more intrusive than they needed to be (comprising "about half of the content of the game" by one estimate, and which "might make you crave action, or wonder why they couldn't have been turned into interactive sequences"), the style was somewhat appropriate given the rest of the series ("in many ways it's a vindication of Kojima's unique interpretation of the videogame medium") and unlikely to trouble fans. The addition of a pause function for these story sequences was universally welcomed. Edge and Eurogamer alike concluded that although the game represents an apotheosis of the series style, it ultimately fails to revitalize it, and would not win over new fans. IGN UK was concerned that the game's hype and widespread praise may lead to disappointment, but felt that the game was a "masterpiece". Following the critical acclaim it received upon its release, Metal Gear Solid 4 won many Game of the Year awards from many international outlets, these including GameSpot, Gamezine, and PALGN, along with a significant amount of Readers' Choice awards, and awards directed towards its story-telling, graphical, and voice-acting aspects. GameSpot praised the game significantly, and awarded it "Game of the Year", "Best PS3 Game", "Best Graphics (Technical)", "Best Boss Battles", "Best Story", "Best Voice Acting", "Most Memorable Moment", and "Best Action/Adventure Game". IGN awarded the game "Best PS3 Game of 2008", "Best Graphics Technology", "Best Original Score", and "Best Action Game". PALGN awarded it "Game of the Year", "PS3 Game of the Year", and "Best Visuals". PC World also heralded MGS4 with "Game of the Year". Playfire awarded the game "Game of the Year", "Best Action/Adventure Game", and "Best Graphics". MGS4 also won "Game of the Year" from the Portuguese Eurogamer. On NeoGAF, MGS4 was also awarded "Game of the Year". The German site 4PLAYER.de gave MGS4 "Game of the Year" also. GamePro awarded the game "Best PS3 Game of 2008" and "Best Action/Adventure Game". 1UP.com gave MGS4 "Game of the Year", "Best PS3 Game", "Best Action Game", and "Best Audiovisual Experience". Fox News Channel awarded the game "Best PS3 Game of 2008" and "Best Game of 2008". GameSpy awarded it "Best PS3 Action Game". From Gamezine, MGS4 won "Game of the Year", and "Best PS3 Game". Giant Bomb gave it "Best PS3-Only Game", "Best Graphics", and "Most Satisfying Sequel". In the Golden Joystick 2008 awards, MGS4 was awarded "Best PS3 Game". At Tokyo Game Show 2009, Metal Gear Solid 4 received the Grand Award (alongside Mario Kart Wii) and the Award of Excellence. The readers of PlayStation Official Magazine voted it the 5th best PlayStation title released. Several publications have commented on limitations given to pre-release reviewers by Konami, including discussion on the length of cutscenes and size of the PS3 installation. These limitations resulted in Electronic Gaming Monthly delaying its review. In lieu of a review, the magazine printed a roundtable discussion about the game. Kojima Productions spokesperson Ryan Payton has since explained more specifically what the NDA restricts, and has amended "some items [that] are outdated and require more explanation." He also listed the length of install times, noting that the restrictions were intended to prevent spoilers regarding what occurs during the installations. Following this statement, gaming site GameSpot published a blog entry in which it claims it will be unable to review the game either, claiming Konami have withheld review code because of non-compliance with the limitations. The article originally implied that the absence of a review was due to GameSpot's refusal to attend the "Boot Camp" event at Kojima Productions' offices. However, it has revised it to state that the Boot Camp was a mid-development feedback and PR exercise, and would not have led to a review in any case. The day before Konami's restrictions were to be lifted, Electronic Gaming Monthly (EGM) reviewer Jeremy Parish clarified the reasons for the self-imposed review embargo, dispelling rumors of a disagreement between Konami and EGM on the review conditions in a lengthy blog commentary. His review of the game appeared on the website shortly after. ^ The previous numbered title, Metal Gear Solid 3: Snake Eater, was a prequel set three decades prior to the events of the original Metal Gear. ^ "Metal Gear Solid 4: Guns of the Patriots FAQ". 2008-02-28. Retrieved 2008-02-28. ^ "Konami Digital Entertainment Reveals Details For Metal Gear Solid 4: Guns Of The Patriots" (PDF). Archived from the original (PDF) on 2008-05-30. ^ "Metal Gear Solid 4 Trailer". gametrailers. Retrieved 2013-02-08. ^ "Metal Gear Solid 4: Guns of the Patriots for PlayStation 3 Reviews, Ratings, Credits, and More". Metacritic. 2008-06-12. Retrieved 2012-08-04. ^ a b "No Country for Old Men". Edge. United Kingdom: Future Publishing (188): 62–71. May 2008. ^ "TGS '07: Kojima speaks". GameSpot. Retrieved 2007-09-24. ^ "Metal Gear Solid 4 TGS 2006 Trailer Impressions". GameSpot. 2006. Retrieved 2006-09-22. ^ Kojima Productions (2008-06-12). Metal Gear Solid 4: Guns of the Patriots. PlayStation 3. Konami. Naomi: I haven't seen you since Shadow Moses. How long? Ten years? / Snake: Nine. ^ Kojima Productions (2008-06-12). Metal Gear Solid 4: Guns of the Patriots. PlayStation 3. Konami. Snake: GW? The same GW we destroyed five years ago? ^ a b Tamari, Etsu. "Hideo Kojima interview". Konami. p. 3. Archived from the original on April 25, 2009. Retrieved March 21, 2013. ^ "Sony PS3 News: MGS Creator Received Death Threats". Retrieved 2007-08-03. ^ September 23, 2007 1:28PM PDT (2008-06-12). "TGS '07: Kojima speaks - PlayStation 3 News at GameSpot". Gamespot. Retrieved September 20, 2012. ^ Snow, Jean (2008-10-15). "Konami Considering MGS4 for Xbox 360". Wired. ^ "360 can handle MGS4, says Microsoft". ^ Yin, Wesley (2012-11-28). "Konami confirms Metal Gear Solid 4: 25th Anniversary Edition is PS3 exclusive after New Zealand shop lists it for Xbox 360". Eurogamer.net. Retrieved 2013-08-23. ^ Goldfarb, Andrew (2014-05-03). "Metal Gear Solid 4 'Too Enormous' for Xbox 360". IGN. Ziff Davis. Retrieved 2014-08-21. ^ Jeff Haynes (2008-01-10). "IGN: Metal Gear Solid 4 Almost Done". IGN. Retrieved 2008-04-19. ^ Kojima, Hideo (2008-02-19). "The Kojima production report session 081". Archived from the original on 2012-10-23. Retrieved 2008-03-08. ^ "10 Most Expensive Video Game Budgets Ever". knowyourmoney.co.uk. Notice Media Limited. 21 August 2008. Archived from the original on 6 November 2013. Retrieved 15 March 2013. ^ "Top 10 most expensive video game budgets ever". DigitalBattle. 20 February 2010. Archived from the original on 19 May 2012. Retrieved 15 March 2013. ^ Imaziumi, Kenichiro (February 21, 2013). "小島プロダクション". Twitter. Retrieved March 21, 2013. ^ Tamari, Etsu. "Hideo Kojima interview". Konami. Archived from the original on July 19, 2012. Retrieved March 21, 2013. ^ "TGS 06:Kojima On Metal Gear". GameSpot. 2006. Retrieved 2007-01-22. ^ "Kojima Productions - M4 Show Maybe?". Konami. 2006. Retrieved 2007-01-22. ^ "Metal Gear Solid 4 Track Listings and Artist Details Revealed". 2008-05-12. Archived from the original on 2008-06-04. Retrieved 2008-05-12. ^ "Norihiko Hibino Confirmed for Metal Gear Solid 4 in New Interview". 2008-03-12. Archived from the original on 2008-10-11. Retrieved 2008-05-12. ^ "Blog Archive » Metal Gear Solid 4: GEM Impact's Story". Original Sound Version. 2008-06-30. Retrieved 2012-09-20. ^ "Metal Gear Solid: MGS4 ~ Theme of Love ~ Smash Bros. Brawl Version". 2007-09-21. Archived from the original on 2012-10-23. Retrieved 2008-03-12. ^ "News - Report: Konami Didn't Use Metal Gear Solid Theme In MGS4 Due To Plagiarism Accusations". Gamasutra. Retrieved 2012-08-04. ^ "Metal Gear Solid 4 Guns of the Patriots Original Soundtrack Confirmed". 2008-03-25. Archived from the original on 2012-10-23. Retrieved 2008-05-12. ^ "Metal Gear Solid 4 Guns of the Patriots Limited Edition Packaged With Soundtrack". 2008-04-13. Archived from the original on 2012-10-23. Retrieved 2008-05-12. ^ var authorId = "192818379" by Jim Reilly. "Konami Continues To Tease MGS4 Trophy Patch - PlayStation 3 News at IGN". Ps3.ign.com. Retrieved 2012-08-04. ^ "New Metal Gear Solid 4 Box Lists Trophy Support". Playstationlifestyle.net. 2012-07-16. Retrieved 2012-08-04. ^ "Metal Gear Solid 4 Trophy List Leaked, Patch Incoming". Playstationlifestyle.net. 2008-07-02. Retrieved 2012-08-04. ^ "Metal Gear Solid 4 to be patched with trophy support". VG247. 2012-07-11. Retrieved 2012-08-04. ^ "What is the SOP System?". Konami.jp. Archived from the original on 2012-10-20. Retrieved 2013-03-04. ^ "MGO Rules". Konami.jp. Archived from the original on 2012-10-20. Retrieved 2013-03-04. ^ "Online information, Contact, 04-07-2009 02:00". Konami.jp. Archived from the original on 2013-03-18. Retrieved 2013-03-04. ^ Laurino, Brandon (2008-06-18). "Metal Gear Solid 4: Guns of the Patriots Database on the way!". Sony. Retrieved 2008-06-18. ^ "Metal Gear Solid 4 Meets iPod". IGN. News Corporation. 2008. Retrieved 2008-05-13. ^ "IGN: Assassin's Solid Becomes a Reality". Ps3.ign.com. Retrieved 2012-09-20. ^ Yuasa, Shino (2008-06-11). "Tokyo Suspect Had Several Knives". Time (Associated Press). Archived from the original on 2009-08-12. Retrieved 2008-06-11. ^ "Metal Gear Solid 4 Greatest Hits Edition Ships to Retail Stores Nationwide". Konami Digital Entertainment, Inc. June 15, 2009. Archived from the original on June 19, 2009. Retrieved 2009-07-14. ^ "4 titles, including the newest in the Metal Gear series will be progressively made available for download for the iPhone and iPod touch from late this month". Archived from the original on 2012-10-23. Retrieved 2010-02-23. ^ "RISK: Metal Gear Solid Limited Edition". USAopoly. Archived from the original on 2012-05-06. Retrieved 2012-08-04. ^ "METAL GEAR SOLID: GUNS OF THE PATRIOTS « Haikasoru: Space Opera. Dark Fantasy. Hard Science". Haikasoru.com. Retrieved 2013-03-04. ^ "MGS4 Limited Edition Details". IGN. 2008-04-10. Retrieved 2008-04-18. ^ "MGS4 Special Edition Preorder Details". Play.com. Archived from the original on 2012-10-23. Retrieved 2008-05-11. ^ "Metal Gear Solid 4 Finally Has A Release Date". ^ "SCEJ to introduce "PlayStation 3 Metal Gear Solid 4 Guns of the Patriots welcome box with DualShock 3"". 2008-05-02. Archived from the original on 2012-10-23. Retrieved 2008-05-22. ^ "First Look: Japanese MGS4 Packaging". IGN. 2008-03-20. Retrieved 2008-03-25. ^ "First Limited Edition Metal Gear Solid 4 PS3 Bundle Sells Out In Japan; MGS4 LE Priced At $84.99". GamingBits. 2008-03-25. Archived from the original on 2008-03-30. Retrieved 2008-03-26. ^ "Metal Gear Solid 4 PS3 bundle orders begin May 19...only on Konami.com". 2008-05-16. Archived from the original on 2008-05-19. Retrieved 2008-05-17. ^ Grace Chen (December 16, 2014). "PlayStation Store Update". PlayStationBlog. Retrieved October 4, 2015. ^ Jason Dunning (August 1, 2014). "Here's All the PlayStation Now Games Available to Rent in the Open Beta". PlayStationLifeStyle. Retrieved October 4, 2015. ^ "Why was Metal Gear Solid 4:Guns of the Patriots removed from Playstation Now?". February 22, 2015. Archived from the original on March 4, 2016. Retrieved October 4, 2015. ^ "Consolidated Results for the First Quarter ended June 30, 2008". Konami. August 5, 2008. Archived from the original on 23 October 2012. Retrieved 10 August 2012. ^ a b Tanaka, John (2008-06-17). "Nearly 500,000 for Metal Gear Solid 4 in Japan". IGN. Retrieved 2008-06-18. ^ Minkley, Johnny (2008-06-17). "Chart-Track: MGS4 had "minimal" impact on UK PS3 sales". GamesIndustry.biz. Retrieved 2008-06-18. ^ Long, Neil (2008-06-24). "Metal Gear Solid 4 hits 1m sales in first week". MCV. Retrieved 2008-06-25. ^ Magrino, Tom (2008-07-17). "NPD: PS3 sales spike on MGS4". GameSpot. Archived from the original on 2008-10-13. Retrieved 2008-07-18. ^ Alexander, Leigh (21 May 2014). "Republique, and the fight for narrative games in a modern market". Gamasutra. UBM TechWeb. Retrieved 21 May 2014. ^ a b "Metal Gear Solid 4: Guns of the Patriots for PlayStation 3 Reviews". Metacritic. Retrieved 2008-06-04. ^ Dawkins, Daniel (2008-06-12). "Review: Metal Gear Solid 4". Computer and Video Games. Retrieved 2008-06-12. ^ a b c d e f g h i j k l "Metal Gear Solid 4: Guns of the Patriots review". Edge (190): 86–87. July 2008. ISSN 1350-1593. Archived from the original on 2011-07-07. ^ a b c d e f g h Welsh, Oli (2008-05-30). "Metal Gear Solid 4: Guns of the Patriots Review - Page 1 // PS3 /// Eurogamer - Games Reviews, News and More". Eurogamer.net. Retrieved 2012-09-20. ^ a b "MGS4 Scores a Perfect 40/40 in Famitsu". Archived from the original on 2010-02-01. ^ a b "Review: Metal Gear Solid 4: Guns of the Patriots for PS3 on GamePro.com". Web.archive.org. 2011-06-07. Archived from the original on August 21, 2008. Retrieved 2012-09-20. ^ "GameMaster Review". Wayback.archive.org. 2009-08-12. Archived from the original on 2009-01-19. Retrieved 2013-03-04. ^ a b "GameInformer: Metal Gear Solid 4 Review". Wayback.archive.org. Archived from the original on 2009-02-03. Retrieved 2013-03-04. ^ a b Kevin VanOrd (2008-06-13). "Metal Gear Solid 4: Guns of the Patriots Review". Retrieved 2014-01-19. ^ a b c "IGN: Metal Gear Solid 4: Guns of the Patriots Review". Ps3.ign.com. 2008-06-12. Retrieved 2012-09-20. ^ a b c d e f g h i j k l m "Metal Gear Solid 4 review". IGN UK. ^ a b c d e f g "Metal Gear Solid 4 review". IGN AU. ^ Dawkins, Daniel (2008-05-30). "Metal Gear Solid 4 Review". PSM3. Retrieved 2008-08-02. ^ michaelcross. "G4 - X-Play - Reviews". G4tv.com. Retrieved 2012-09-20. ^ Ashcraft, Brian (2008-05-12). "First Official Metal Gear Solid 4 Review". Kotaku. Retrieved 2008-05-13. ^ "EmpireOnline Review". Empireonline.com. Retrieved 2012-09-20. ^ "'Metal Gear Solid 4' And The Lack Of Sad Games". Kotaku.com. 2008-06-24. Retrieved 2012-08-04. ^ "Gamezine's 2008 Game of the Year". 2009-01-05. Archived from the original on 2009-07-08. Retrieved 2009-06-19. ^ Jastrzab, Jeremy (2008-12-29). "PALGN Game of the Year Awards 2008". Archived from the original on 2012-10-23. Retrieved 2009-06-19. ^ por Jorge Soares Publicado 23 Dezembro, 2008 (2012-07-25). "Escolha dos leitores Top 30 - 2008 Artigo • Página • Artigos •". Eurogamer.pt. Retrieved 2012-08-04. ^ "MGS4". PlayStation Official Magazine. Future Publishing. No. 50. October 2010. ^ "Metal Gear Solid 4 Was Chosen The Best PS3 Game by IGN". Archived from the original on 2010-09-06. ^ a b "EGM delays MGS4 reviews, Konami's 'limitations' cited". joystiq. ^ "MGS4 print reviewers asked to not disclose install time, cut scene length, reports MTV". joystiq. ^ "Metal Gear Solid 4: Guns of the Patriots Review". IGN. ^ "EGM Refuse To Review MGS4 Because Konami Imposed "Limitations"". Kotaku. ^ "Exclusive: Kojima Productions Responds to MGS4 NDA Complaints". Kotaku.com. 2008-06-05. Retrieved 2012-09-20. ^ "Metal Gear Solid 4: Not Playing Ball - GameSpot Review Blog - Gaming News and Videos". Au.gamespot.com. 2008-06-04. Archived from the original on 2012-10-23. Retrieved 2013-03-04. ^ Parish, Jeremy (2008-06-11). "MGS4, EGM, NDAs and YOU". 1UP.com. Archived from the original on 2011-06-04. Retrieved 2008-06-12. ^ Parish, Jeremy (2008-06-12). "Metal Gear Solid 4: Guns of the Patriots review". 1UP.com. Archived from the original on 2012-10-23. Retrieved 2008-06-12. The Complete Official Guide to Metal Gear Solid 4: Guns of the Patriots. Piggyback Interactive and Kojima Productions. July 2008. ISBN 9780761559696.